I have a clock that I originally thought was a grandmothers clock. It stands about six and 1/2 inches in height. 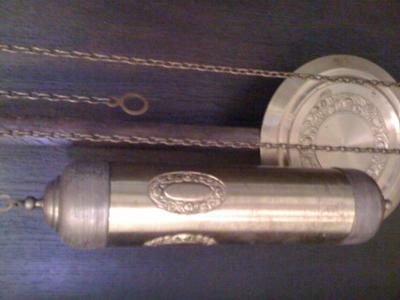 It is mahogany and has a brass tag inside that says F.A Lenke Uhren u. Goldwaren Bautzen, Goschwitzstrasse 25. Is there anyone out there that can tell me about my clock? It is mohogany in color. All I can tell you that this clock was sold by the clock dealer Lenke in Bautzen Germany. The store no longer exists. I presume that this clock was sold before 1940, when the second world war started. It now houses a travel agent. This means that your clock is at least 70 years old. 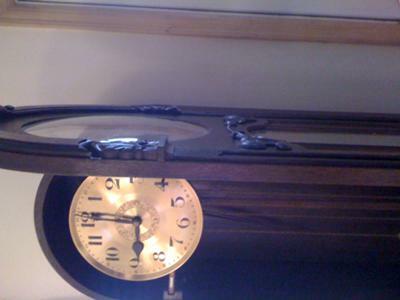 I have a clock that I think is from the 1930 or 40's maybe earlier with military marking on it. would you known it value? Join in and write your own page! It's easy to do. How? 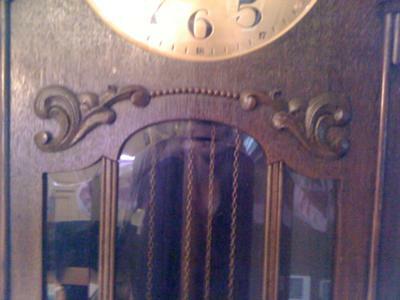 Simply click here to return to Grandmother Clocks Forum.